CHICAGO – U.S. Soccer announced on Thursday the finalized format and schedule for the 106th edition of the Lamar Hunt U.S. Open Cup, U.S. Soccer's National Championship, with six clubs from USL League One entered alongside 25 teams from the USL Championship and 10 from USL League Two in the field of 84 teams to compete in the historic tournament. The six League One clubs – Chattanooga Red Wolves SC, Forward Madison FC, Greenville Triumph SC, Lansing Ignite FC, Richmond Kickers, South Georgia Tormenta FC – will enter the tournament in the First Round alongside 32 Open Division qualifiers. The opening round will be held on on May 7-8 with 19 First Round games, with the USL Championship’s representatives set to join the tournament in the Second Round, which will be held the following week on May 14-15. In an indication of the unprecedented growth of professional soccer in the United States, 52 pro teams – a modern-era record (1995 to present) – will play in this year’s competition. 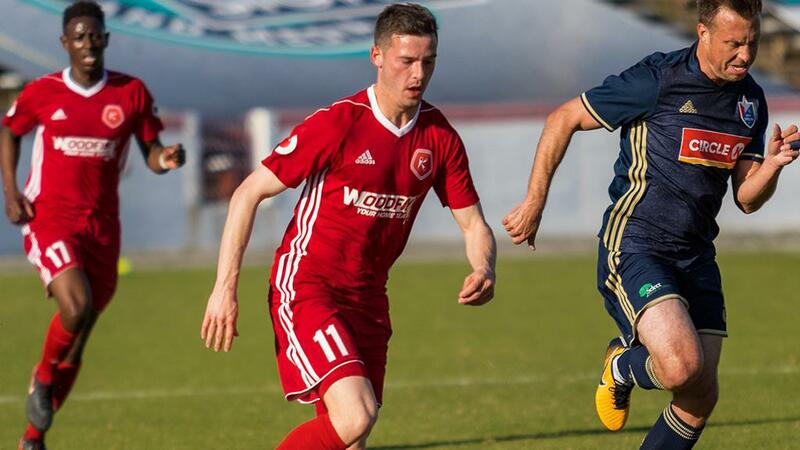 The previous record was 47, set in 2015, with the Richmond Kickers the sole League One representative in this year’s tournament to have previously competed as a professional side in the competition. The Kickers boast a rich history in the tournament, having claimed the Open Cup in 1995 while also making a run to the Semifinals in the 2011 season. South Georgia Tormenta FC has also previously appeared in the tournament as a member of USL League Two, with the club set to enter two teams into the tournament after current League Two side South Georgia Tormenta FC 2 also earned a place in the field. The draw for the First Round of the tournament will be held on April 10, and for the Second Round on April 17. For more details on the 2019 Lamar Hunt U.S. Open Cup, visit USSoccer.com.